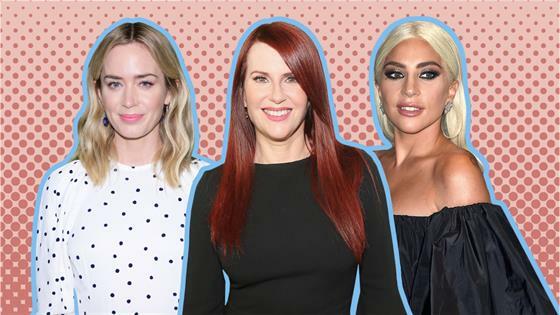 Another 2019 SAG Awards honoree is in the books! Darren Criss won the award for Outstanding Performance by a Male Actor in a TV Movie or Limited Series for his performance in The Assassination of Gianni Versace: American Crime Story. Ahead of Sunday evening's ceremony, the Hollywood star faced stiff competition in his category, which included fellow nominees Antonio Banderas (Genius: Picasso), Hugh Grant (A Very English Scandal), Anthony Hopkins(King Lear) and Bill Pullmann (The Sinner). And to make the moment that much more exciting, this marks Darren's third nomination and first win at the Screen Actors Guild Awards. During his acceptance speech, Criss paid tribute to the five victims of serial killer Andrew Cunan, the man he portrayed in the critically-acclaimed FX series. "The character I played," he shared onstage inside the Shrine Auditorium and Expo Hall, "unfortunately used masks to destroy things and so as an actor my goal was to use masks to create a positive change." "So for any of the families and friends of those affected by the destruction that he brought, I hope that they know our goal was to not make a spectacle of their tragedy but to create a positive dialogue about social issues and bring to justice things that were in the shadow," Criss continued. "This is a high that will last a lifetime," he concluded. "And it is such an honor to be acknowledged by all of you so whether you voted here or at home, over there, thank you so very much. If you're an actor, whether starting out, breaking through, or holding on, I wish you all the best. Break a leg. Thank you." Earlier this year, Criss won both the Emmy and Golden Globe for his performance in The Assassination of Gianni Versace: American Crime Story. Congratulations to Darren, and check out the complete list of SAG Awards winners—updating in real time—right here!